Where are the Early Adopters of Social CRM? It is time to shift from Ideas to Execution – where does the path start? Even if you haven’t heard much about Social CRM, you know customers are empowered by the use of digital technology and changing the way they engage with vendors. Social CRM is the answer to that change. If you are in the SCRM community, you have heard the call for analysts, vendors and other experts to move from discussion of terminology and ideas to execution. The shift to Social CRM (“Social” being a temporary terminology differentiator until CRM is social) has started several years ago and will continue to unfold for several years ahead. Turning customer relationships upside-down is a revolutionary idea, but business execution, processes and tools take longer to evolve. We are just starting that journey. If you are still with me, I think a good question to ask is “Where is Social CRM first going to get traction?” If the transition is going to happen over a long period of time, it is reasonable to expect the adoption of Social Technologies will happen based on the path of least resistance and larger return. 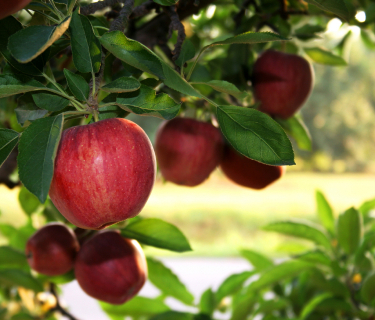 What specific business verticals are the low-hanging fruit ripen for early adoption? Of course the first companies affected by the emergence of Social Computing and the availability of the Digital Medium were the Media company themselves. Music, Press, Publications, Software industries are quickly being transformed by the use of Social Media. Incumbents did not it coming and are now struggling to adapt or becoming casualties of the the change. Similarly to e-mail adoption in the early 90’s, the consumer has embraced social media earlier and faster than most businesses, so companies in the B2C space have already embraced Social Computing and are aggressively leveraging Social Media to listen and reach the market. If B2C is past early adoption, what about B2B Social CRM? Because business have not yet fully embraced Social Media for external communication and Social Computing tools in their internal operation, it is natural to expect the adoption of Social CRM to be gradual and selective. Business selling B2B products or services for which early adopters of Social Media within the customer organization are also the buy decision makers should be able to implement Social CRM effectively earlier. If it is true that Social CRM reflects a shift of control towards the customer and that Social Channels is the best way to scale the new customer engagement, then for Social CRM to work in practice, customers need to be able and willing to engage in those social media channels. As an example, in most companies, marketers are the first to be exposed to social media and are likely to be early adopters of it both as a channel for marketing as well as a tool for everyday work. So, businesses selling to marketers like Marketing Agencies, Media Companies, Consulting Firms are natural early adopters of Social CRM in their practices. Business selling B2B solutions that already have segmented Social CRM Practices can consolidate customer engagement and leverage newer Social Media channels. Many companies selling complex solutions already have Social CRM practices partially implemented in certain areas. For example, it is not uncommon for Enterprise Software vendors to handle their post-sales customer service through online forums, communities and Knowledge Base systems (though still primarily using traditional broadcast methods to engage with customers pre-sales). Because they already have some in-house experience listening to customers, their Social CRM adoption can focus on unifying their pre- and post-sales practices and shifting their technology infrastructure to better leverage open public social media channels. Most IT vendors already maintain some type of branded customer community. But most of the interaction among IT System Administrators happen in cross-vendor open communities without control by a particular vendor. There are many other instances of the example above and business selling those types of products or services should be able to benefit from and justify the adoption of Social CRM practices and tools. Businesses selling B2B products or services for which opportunity or action triggers are often directly present in Social Channels. Business travelers are circumstantially inclined to express frustration online, so any company providing relates services (hospitality, transportation, etc) are likely to benefit from adopting technologies that allows them to react in real-time. There are incentives and psychological rewards for works to quickly announce job changes and promotions (by updating their LinkedIn profile, for example). The same apply to business announcements of changes in management, M&A activity and opening of new branches or locations. Business for which those events represent a significant trigger for action or opportunity can probably get disproportionate return on investments in Social CRM. Recruiting firms, IT equipment vendors are examples that come to mind.